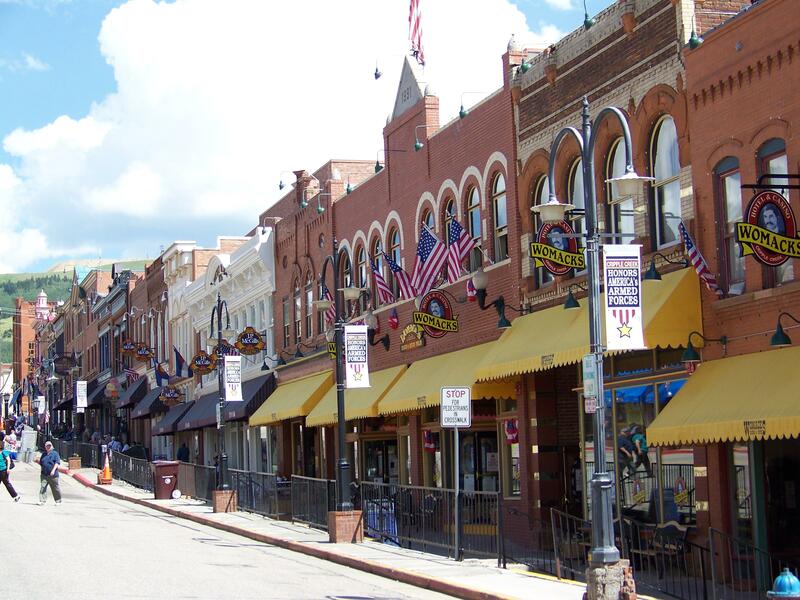 About an hour and a half by car outside Colorado Springs, in the beautiful Rocky Mountains (on the western slopes of Pike's Peak), lies the quaint town of Cripple Creek. 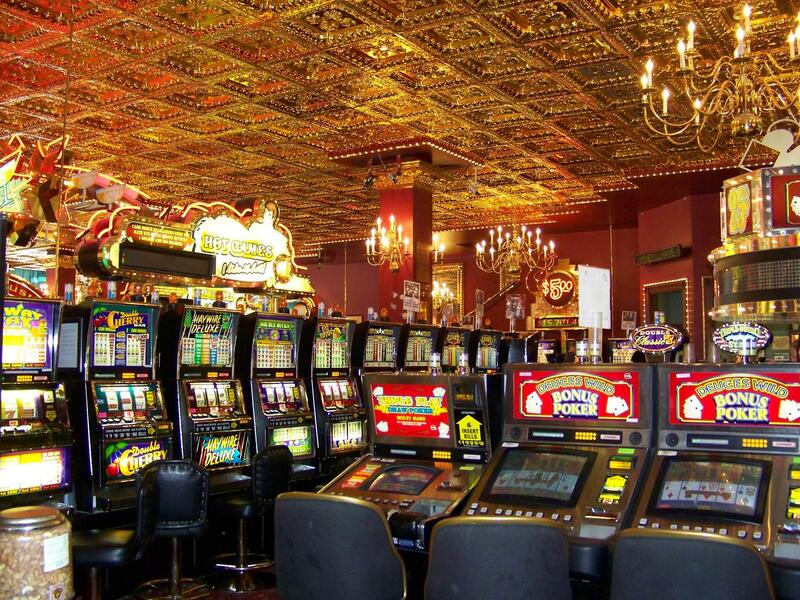 Once an old mining town from the 1800s, it's now a gambling getaway. 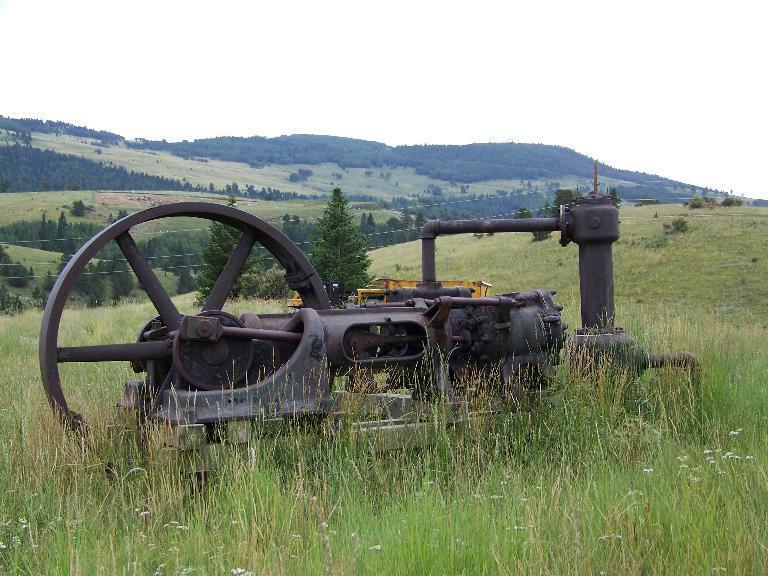 There are plenty of old mining relics around to suggest this was a thriving and rowdy place. 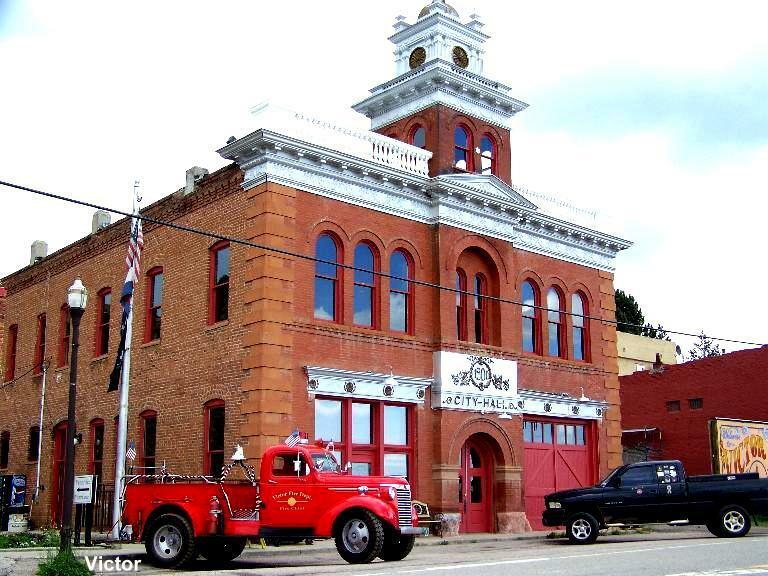 About ten minutes south of Cripple Creek is Victor, a relic town with one paved road, lots of mine memories, and the cutest fire engine. 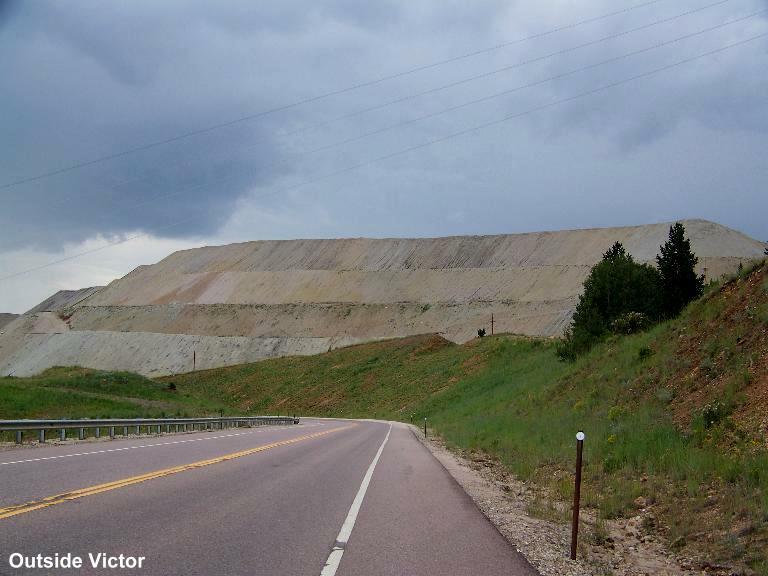 I decided to celebrate my 50th birthday by renting a car and taking a solo day trip to Cripple Creek, with a brief stop in Victor. I headed west on Hwy 24 from Colorado Springs, via Manitou Springs, through Woodland Park, and took a left onto SH 67 (State Highway) towards Cripple Creek. This is truly a spectacular part of the country, with tall green trees, lush green fields, and red rocks everywhere. It was difficult controlling my urges to stop and take photographs, but there weren't many places you could stop — problem solved. 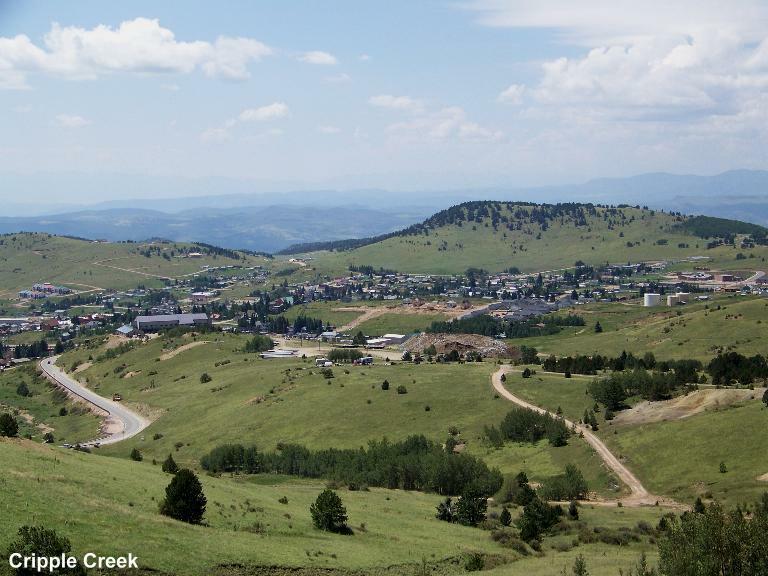 I'd heard so much about Cripple Creek, endured many annoying television commericals, and so I decided to go for the day and see for myself. The drive there and back was undoubtedly the highlight of the day, even though it poured in the late afternoon and all the way home. 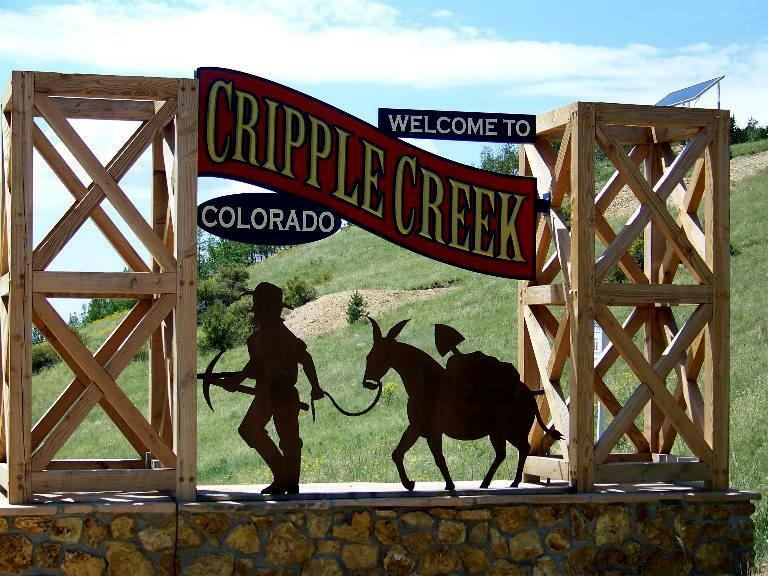 Cripple Creek itself is small enough to just park your car in any one of the free parking lots offered by the casinos, and walk around. The main street, Bennett Avenue, is where you'll find most of the action. 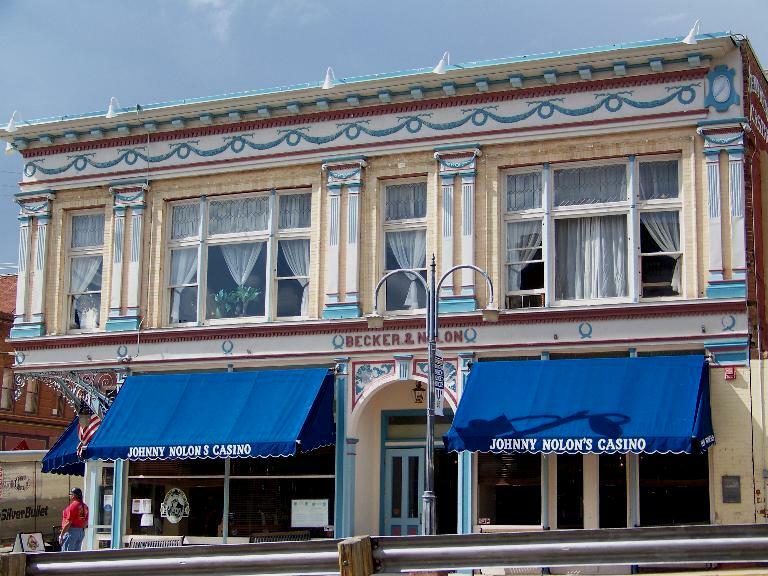 It is not only home to most of the casinos, but there are also souvenir shops and other little places of interest, like the Butte Opera House. The side streets have much to offer as well, such as the most adorable little old-fashioned houses and the little parsonage alongside the church behind the court building. Because I went in the daytime, I missed the lights of the city which I believe are very pretty. If you stay overnight, do take a walk down Bennett Avenue to see the lights. 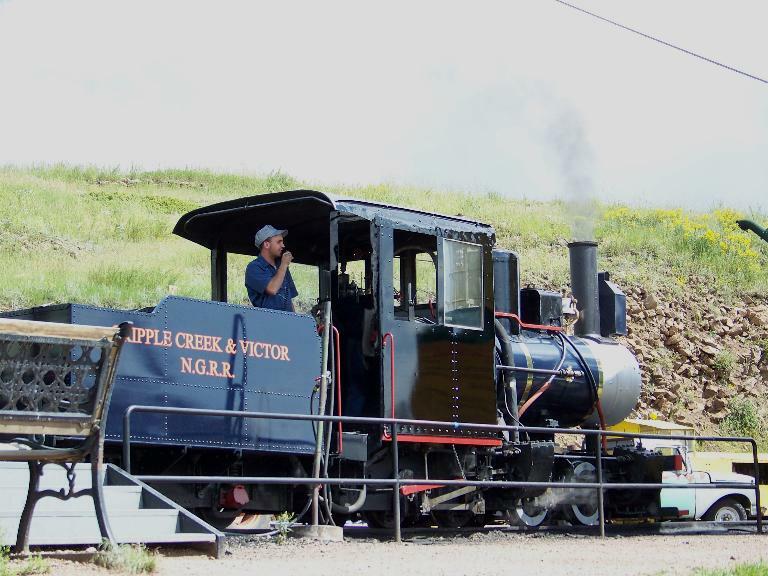 The Cripple Creek & Victor Narrow Gauge Railroad tour takes you on a 45-minute narrated tour of old mines. $11.00 for adults. 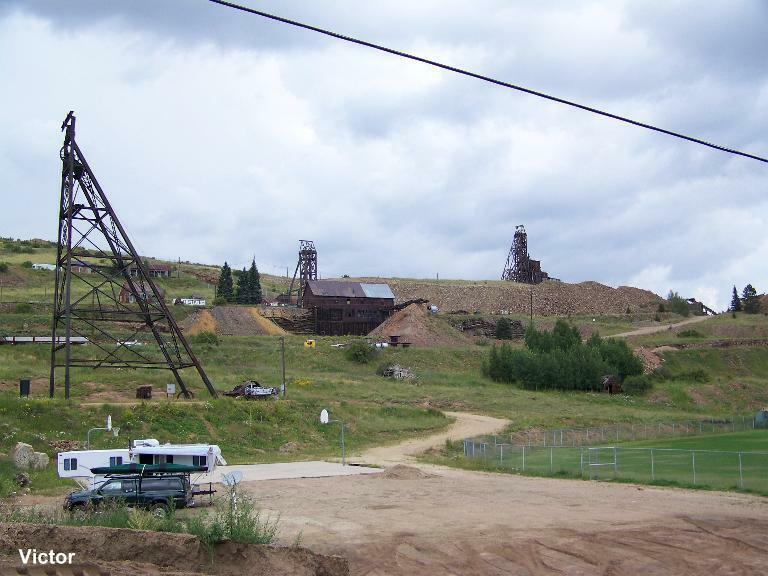 A visit to the Mollie Kathleen Gold Mine, a real gold mine, is also worth considering. The tour is one hour and you descend 1,000 feet. $15.00 for adults. 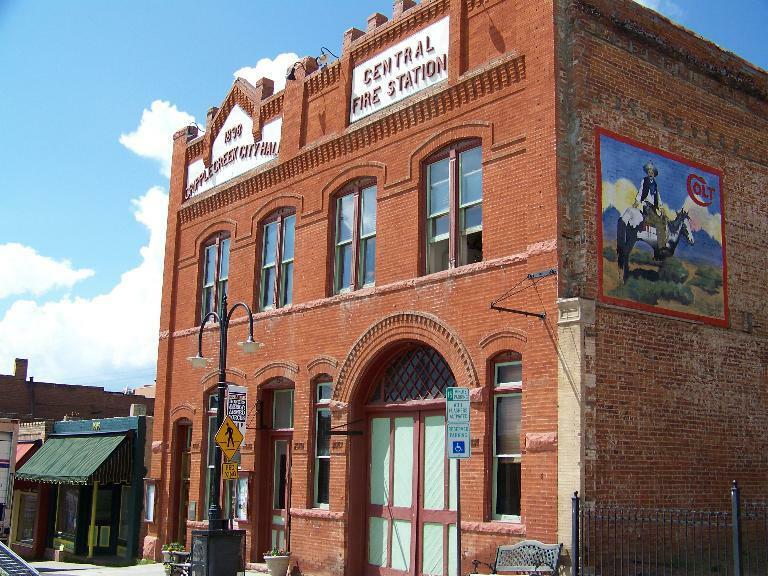 There is also the Cripple Creek District Museum which you can visit. 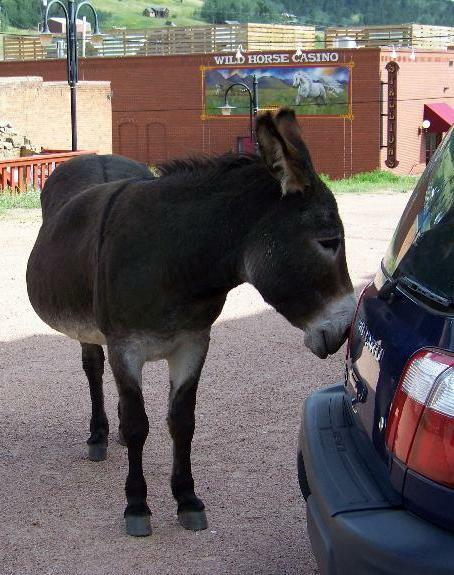 Keep a lookout for the little donkeys that roam around. Apparently they are descendents of the ones who worked in the mines. 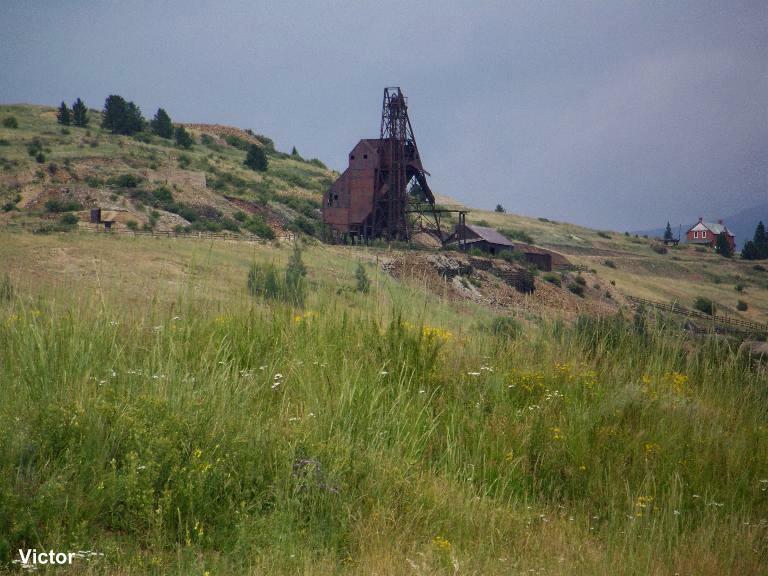 According to the history pamphlet on the area, "Cripple Creek is known as the "World's Greatest Gold Camp", and "More gold has been taken out of the Cripple Creek District than from the California and Alaska gold strikes together", and it "was one of the first cities in the nation to have electricity". Who knew? After some walking around, I had worked up an appetite and went in search of a lunch buffet. I could have eaten a horse I was so hungry. Must have been the over 9,000 feet altitude! There wasn't a buffet to be found so I settled on a lunch at Womacks Casino. 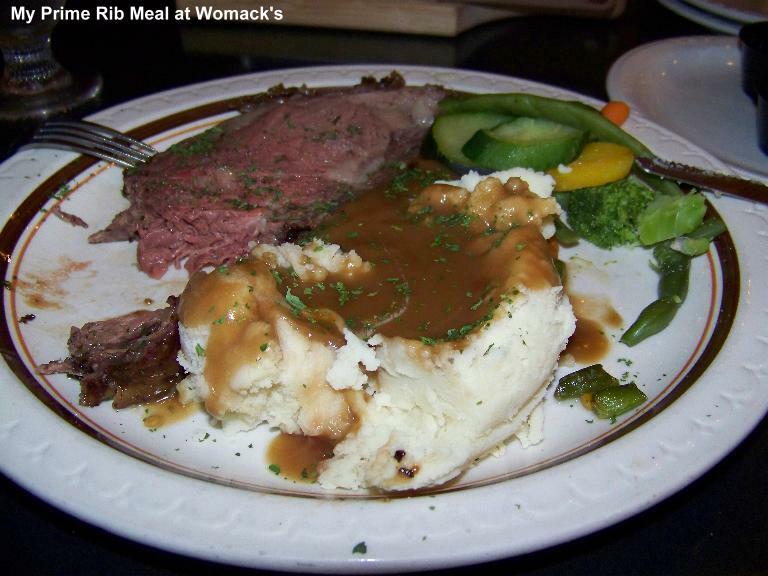 I discovered prime rib, mashed potatoes, and vegetables for $5.95 (excl. tax) which I immediately ordered. (I believe this reduced price is offered on Fridays and Saturdays. My bill said $12.95 less $7.00.) I'm not a big meat-eater but a chunk of steak now and then is just fine. The prime rib was delicious but I was horribly disappointed that the mashed potatoes were from a packet. I enquired and my suspicion was confirmed. Grossly yucky. How difficult is it to peel potatoes (you can even get them already peeled! ), boil them up, and mash them with a little butter for heaven's sake? The vegetables were from frozen and not that bad — at least there was a variety: carrots, beans, broccoli, and squash. Much later in the afternoon, I went in search of something sweet. I came across a shop that sold, among other stuff, ice cream. I won't mention the name of the shop as the sales people were obnoxiously dismissive (you would think being nice to customers would encourage them to buy things!!) and the younger male staff were talking loud enough for everyone to hear, about how each would feel if they were hit on by girls wishing to make out. Very tacky and completely inappropriate. It was as though they were in their own rooms at home. The ice cream wasn't particularly good either. 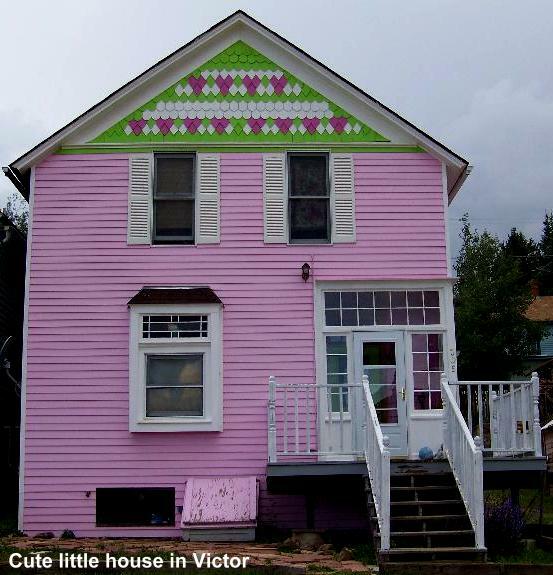 I should have had a gelati up the road at Maudie's Incredible Emporium (I think that is what it was called). You can drive through this little old town in a matter of seconds it's so small. With just about one paved road, there is very little to see. The rest of the roads are all dirt roads and I shuddered to think what a mess they must be in winter. Not much to see other than the few old-fashioned buildings, and if you drive on through the town to the other side, some mining equipment scattered around. I drove up and down a few of the side roads and found the place to be rather derelict and very messy. 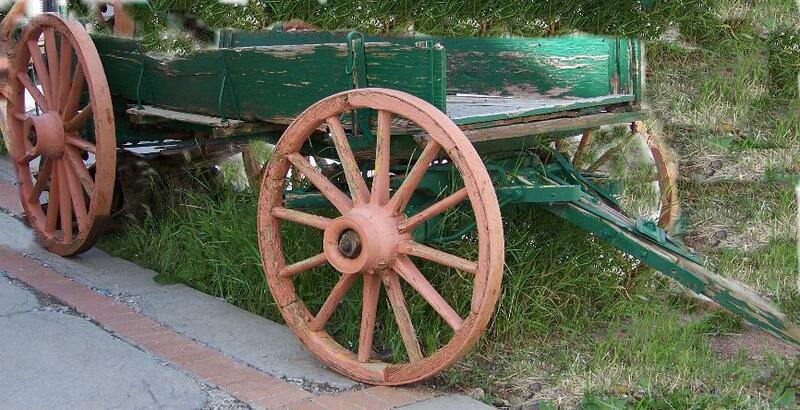 There were old cars and junk in people's yards and everything just looked untidy. All in all, I had a wonderful day out. I thoroughly enjoyed the scenery, and the people watching was superb — lots of characters wandering about. Prices quoted were right at the time, August 2007. Advantage Rent-A-Car - 1 day (Friday) unlimited mileage = $17.35 (incl. tax) plus your choice of insurance and gas. Web: www.advantage.com Tel: (719) 574-1144 or 1-800-777-5500. Often you get better rates making your reservation on the Internet. 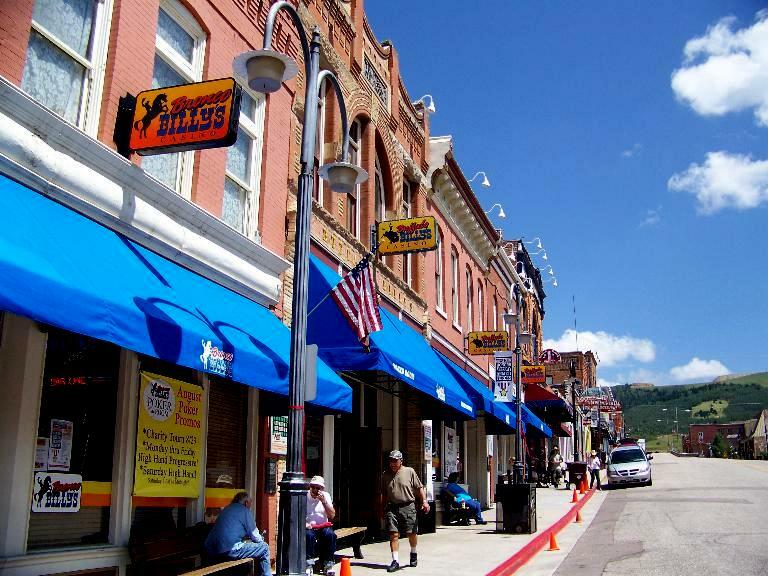 Cripple Creek Chamber of Commerce, P.O. Box 650, Cripple Creek, CO 80813. Website design and © Adrienne Petterson 2007-2019.